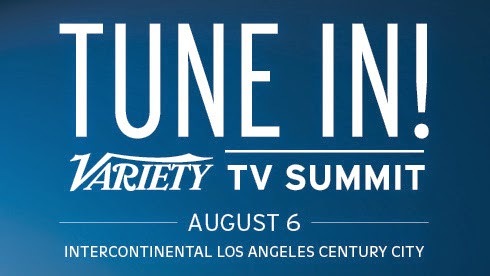 On August 6th, 2014, at the InterContinental Los Angeles Century City hotel, Variety magazine hosted “Tune In: The TV Summit 2014,” a one-day event centered on the television industry. From 8 a.m. until shortly after 5:30 p.m., noted executives and famed personalities offered talks on a variety of topics shaping the TV landscape. Here’s what went down for most of the day. The program began with Marc Juris, President and General Manager for the WEtv network. “Great stories make great shows, and great shows build great brands,” he explained. WeTV president Marc Juris: Technology has not changed the art of storytelling. Great stories will always come from the heart. #TVSummit. Conan O’Brien, host of TBS’ “Conan,” was also a huge draw. He discussed how social media, and Twitter specifically, changed his life after the Team Coco movement arose in his support years ago. During the mid-morning, “Variety” Editor-in-Chief Cynthia Littleton moderated a panel titled “The Future of the TV Business,” a discussion on methods for success with several TV production leaders. Next, a forum described as “The Advancing Frontier of Multi-Platform Pay TV,” was held, where participants discussed streaming, on-demand and OTT video delivery. In the early afternoon, the TV’s Reality Rainmakers panel took place. Executive producers and network head honchos talked about maintaining the genre, as well as concepts that are working in the U.S. and internationally. The mid-afternoon timeslot was for the “It’s a Digital Jungle Out There: How We Are Driving and Measuring Audiences” conversation. Researchers and social media representatives covered online campaigns and viewership. Our #TVSummit takeaway via @jaredgoldsmith: Tailoring content to each social platform is better than re-purposing it across all platforms. Before the evening ended, two other seminars took place: one on advertising and channel branding, and another focused on creativity in various TV projects. To see who else appeared, check out the Variety website.